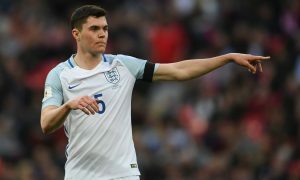 Manchester City are in urgent need of new full-backs and the overhaul of those positions, currently occupied by four players over the age of 30, is set to begin next summer. Many left-backs have been linked with a move to the Etihad Stadium in recent months, but fewer right-backs, with that considered a harder position to fill. Pablo Maffeo, a youngster already on the books, has shown the potential to fill at least one of the two right-back roles, but is currently on loan at Girona in La Liga 2, a long way from the bright lights of the Premier League. And according to Express in Germany, another 19-year-old right-back like Maffeo, this one already a full German international, could be on Pep Guardiola’s agenda. 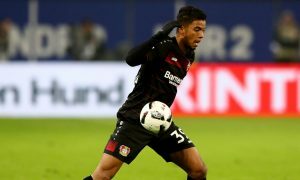 Manchester City are reported to have already contacted Ali Bulut, agent of Bayer Leverkusen right-back, Benjamin Henrichs, to discuss a potential deal for the talented youngster. Henrichs is considered one of Germany’s best young talents and made his senior debut for the national team against San Marino in November. Fast and technically savvy, he fits the profile of a Guardiola full-back, making him a realistic target for City.